The Best News you will Hear All Day! It has been quite some time since you last heard from Katherine (my wife) and myself! I would like to apologize for such a long time between posts, and would like to make it up to you now! We have seen some pretty amazing things happen over the past year and I hope to share some of those things with you now! First off, Katherine and I got married in August of last year! 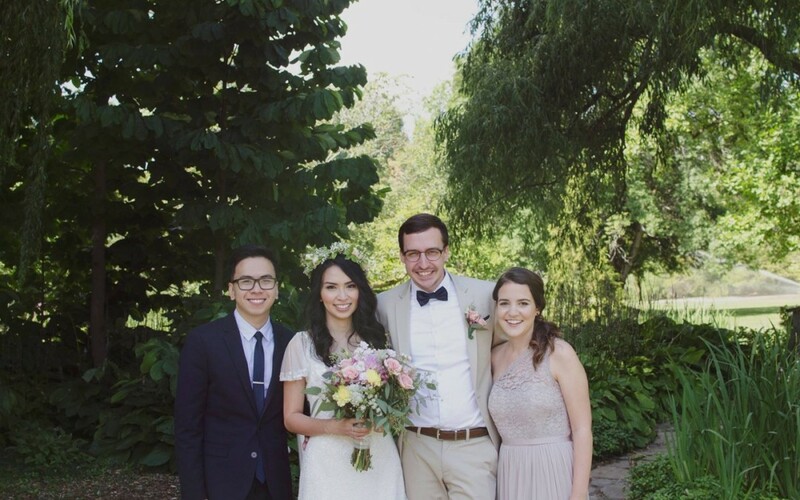 It was the most beautiful ceremony and reception in Niagara on the Lake, Ontario, Canada! It was the perfect day and we were fortunate enough to have a few of our closest friends and family with us to celebrate the day! We are planning on having a church wedding in the States and a reception in the Philippines, so that we can celebrate with some more of our extended family and friends and give them the chance to join in on this exciting part of our lives! Second, in November last year Katherine and I felt like we needed to do something special to help some people out in her home city of Cagayan de Oro, Philippines. With your faithful contributions and with the help of Boodlelicious Grill and The Philippines Mental Health Association, we were able to feed over a thousand men, women and children during the Christmas and New Year season! We were able to impact four communities throughout the city and share with them the love of Christ and the true meaning of Christmas! Thirdly, I have been working hard to keep in contact with all of our missionaries and volunteers and have seen so many fruits take hold! We have seen our missionaries grow tremendously over the past year and because of their health we have been able to add on several new faces to the mix and are excited to see how things progress from here! You will be hearing more from them over the next couple of weeks, so make sure to be looking out for their posts! I have also been hard at work updating the website and helping to implement new aspects of the website to make it more accessible for you and more user friendly for anyone that visits us! This has been a very enjoyable part of the last year and has inspired me to start my own webpage design business called Psevdonym Designs. psevdonym.com I am hoping this new business will grow into a tent making ministry that will help to subsidize our family income and be flexible enough to allow me to continue to lead this ministry full-time! Lastly, we were hoping that we would be having our second wedding in the States this summer, however, just about a month and a half after the wedding in Canada, we were greeted with some pretty amazing news that we are now pregnant and will be expecting our first child in the end of June this year! We are so excited and couldn’t be happier and can’t wait to meet our new baby boy! It has been an amazing year and I look forward to bringing you all along for the journey as we continue to grow the CODE family as well as the Murray Family! You will be hearing from us much more frequently this year, so don’t forget to Sign up for our updates!